"Sweetness of love only you can taste after wetting your lips with tears"
When world was sleeping those love birds were making the golden nest of love. The love where was passion, care and dedication for each other. Holding hands, strong feelings and just love, they always walked together. Anuj was always ready to do everything for her. He was a guy of surprises. 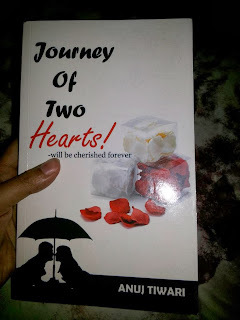 Sweet but passionate romance changes their life and makes them happy every next day but life is not all about happiness and then extreme conflicts and a struggling journey starts. Unexpectedly what did happen when the bird of desires said, ‘I can’t be with you Anuj, please leave me forever.’ Why did she turn from that path? What happened that night which changed everything and broke the golden nest of love? ALL PROMISES BROKE…is a JOURNEY OF TWO HEARTS…few promises gone undone. However, as Anuj promised that at every memorable moment, he would be there to give her surprises…then why did he cry a lot for her? Loving someone is not tough but the real courage if to forget you loved one. Anuj Tiwari is an IT professional and debut novelist. 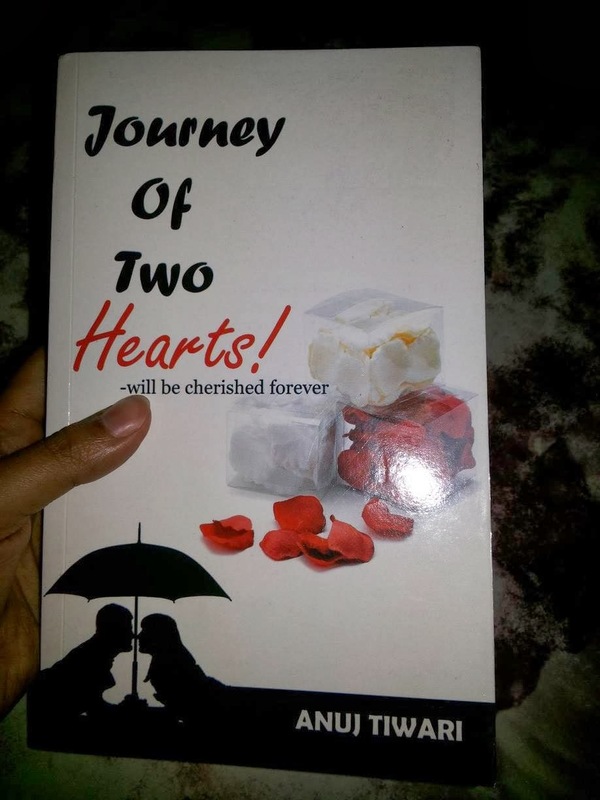 His literary career has only one book to its credit, Journey of Two Hearts! His writing style makes it an easy read for anyone and has a youthful tone of writing. Anuj Tiwari was born and raised in Bareilly, Uttar Pradesh. He studied in Jaypee University. He is also additionally a motivational speaker and a youth icon. He actively moonlights as a member of various NGOs in the weekends. He currently lives in Mumbai. Anuj is a studious engineering student who enjoys fun times with friends. His life turns upside down when he accidentally start talking to Pakhi an innocent child-like girl from Delhi. Anuj comes across as a matured young teenager in comparison to Pakhi who is uncertain is fragile enough to decide what she really wants from life. The book is a tribute to first love... First love which is all about innocence... sweetness and cuteness... which is free from calculations and manipulations... where tears are a common friend – both in happiness and sadness... where possessiveness and jealousy grows; multiplies... where the love will seem to be so near though geographically far-far away... where nights seem to be shorter and days too long! This book oozes with such innocence. The author claims this as a true story; that made me sit back and think... Teenage is such a critical phase in life where uncertainties are common and insecurity is unavoidable... It is a period when even a separation seems intolerable and heart-break would lead to depression! Therefore I liked the book... Though very juvenile! But dude, the characters are indeed young and it should be juvenile! Its sweetness and innocence will awe you! It’s too juvenile and plunges with immaturity. But, that’s how first love is! However, what is unpardonable is the spelling and grammatical mistakes. A book should be perfect. After all, it goes through several editing and re-editing and in spite of that, if this is the outcome, it’s very pitiable! You can. But you will enjoy more if you are a pimpled teenager who is yet to taste or tasting the sweetness of innocent first love. If you are slightly older or very old, I bet that you will not enjoy much except that you would feel nostalgic and wish from the depths of the hearts that you should have never grown older. Anuj.. Waiting for your next book that describes about how you met your lady love!!! "Locomente" has been included in the Sites To See for this week. Be assured that I hope this helps to point many new visitors in your direction.